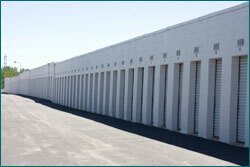 A-Discount Storage -- We take care of a variety of your storage needs for outdoor and indoor storage. Security is priority one at A-Discount Storage. We continually review our security systems and have a on-site Resident Manager to watch over your car, RV, boat, trailer, and personal possessions. At A-Discount Storage, you will see that we pay close attention to detail. All areas are kept clean and neat. Our on-site, Resident Manager, continually monitors your car, RV, boat, trailer, and personal possessions to ensure the highest level of security. 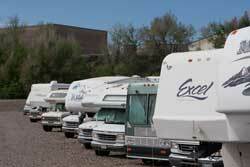 We have maintained our low rates over the years while providing our customers with services they need and want. 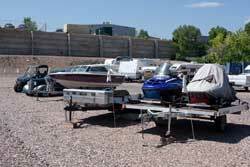 We provide many on-site services for the outdoor storage of recreational vehicles, campers, pop-ups, boats, trailers, automobiles and oversized equipment. We also offer clean, secure indoor storage units ranging in size from 5'x10' to 10'x30' and even have several sea containers. 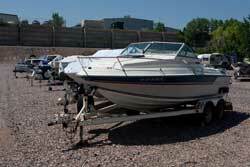 We are conveniently located in central Denver Metro and easily accessible from major highways. Contact us today and see the A-Discount Storage difference for yourself.